The holidays are often filled with opportunities for togetherness, laughter and memories. They can also bring about stress, disappointment and sadness for some people. A person living with dementia may feel a sense of loss during the holidays because of the changes he or she has experienced or is experiencing. At the same time, caregivers may feel overwhelmed maintaining traditions while at the same time, providing daily care. Therefore, it is important to adopt a person/family-focused approach to supporting individuals living with dementia and their families during the holidays. In the early stage, a person with Alzheimer’s may withdraw and be less comfortable socializing, while others may enjoy seeing family and friends as before. The key is to check in with each person and discuss options. A simple “How are you doing?” or “How are you coping with everything?” may be appreciated. Encourage families to plan the holidays together with the individual living with dementia, focusing on the things that bring happiness and letting go of activities that seem overwhelming or stressful. As the disease progresses into the middle and late stages, families may need help rethinking their holiday plans and traditions to simpler or low stress activities. Everyone is unique and finding a plan that works can involve some discussion as well as trial and error. If the individual living with dementia is spending the holiday away from the care community, encourage caregivers to only be away for a few hours as to not overwhelm the individual. The same is true for family members who are spending the holiday in the care community. Help families give themselves permission to do only what they can reasonably manage. If they’ve always invited 15 to 20 people to their home, suggest they consider inviting five for a simpler meal. They can think about having a potluck dinner, asking someone to order and bring dinner, or asking others to host. Encourage caregivers to familiarize others with their situation by having a call, or writing a letter or email if appropriate. Take the lead of the individual with dementia. If it seems like it’s too much or not important to them, make adjustments. Take time to learn what was and is important to the individual living with dementia and his/her family. Learn about traditions and memories and build on or adapt them. Involve the person in safe, manageable holiday preparation activities that he or she enjoys. Ask him or her to help you prepare food, wrap packages, help decorate or set the table. Or, serve the individual’s favorite holiday meal or snack. Maintain the person’s normal routine as much as possible, so that holiday preparations don’t become disruptive or confusing. Taking on too many tasks can wear on everyone. Build on traditions and memories. Family members may find comfort in singing holiday songs, but may also experiment with new traditions that might be less stressful or a better fit with other caregiving responsibilities, such as watching seasonal movies. Encourage families to celebrate over lunch or brunch, rather than an evening meal, so you can work around the evening confusion, if it affects the person with Alzheimer’s. Help prepare families for new holiday traditions that may be different than past holidays. Consider serving nonalcoholic drinks and keeping the room bright. Some decorations may be overwhelming or confusing for individuals with dementia. Simple decorations may work best. Caregivers can provide family and friends with suggestions for useful and enjoyable gifts for the individual, such as comfortable, easy-to-remove clothing; CDs of favorite music; photo albums of family and friends; or favorite treats. 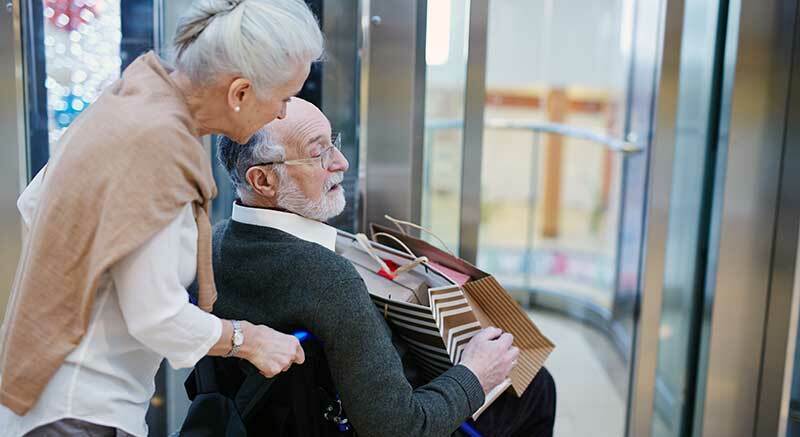 Depending on the individual’s abilities and preferences, caregivers can involve the person in gift giving. For example, someone who once enjoyed baking may enjoy helping to make cookies and pack them in tins or boxes. Additionally, the individual may enjoy selecting a gift form a catalogue or helping to wrap a gift. If friends or family members ask you what you’d like for a gift, you may want to suggest a gift certificate or something that will help make things easier, like housecleaning; lawn, handyman or laundry services; restaurant gift cards; or even volunteer to visit with the person for an afternoon so the caregiver can have some time off. For more information and assistance on making adaptations for the holidays, visit the Alzheimer’s Association website at alz.org or call the 24/7 Helpline at 800-272-3900.